Prysmian Draka supplies a complete range of marine, offshore oil and gas power, control and instrumentation cables for use on oil platforms and floating oil production units (FPSO). T&D distribute an extensive range of cables from 250V to 33kV - a complete range of marine, offshore oil and gas industry cables to IEEE, UKOOA and IEC specification. Offshore Marine Cables - NEK 606/BFOU/RFOU/BU/RU topside cables including halogen-free, fire resistant and mud resistant LV, MV & HV power cables (3.3kV, 6.6kV and 11kV). 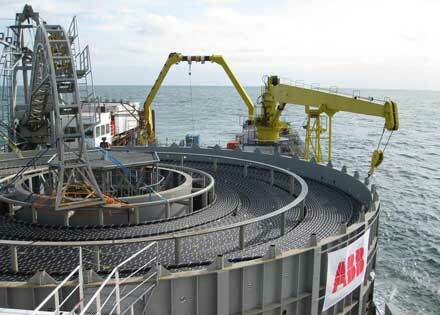 A full range of cable joints, terminations, glands and cleats are available for offshore cable installations. BFOU, RFOU, NEK 606/, BU and RU offshore and marine cables including halogen-free, fire resistant and mud resistant LV, MV and HV power cables 3.3kV, 6.6kV and 11kV. T&D support the power, control and instrumentation cable requirements of the UK and international oil and gas industry with high specification and performance cables manufactured by Prysmian Draka. The T&D and Prysmian commercial relationship goes back to the previous century. T&D have distributed the Prysmian Components range of cable joints, cable glands, cable cleats and high voltage cable terminations for several decades. The new relationship will now extend T&D's portfolio to embrace Prysmian Draka Offshore Marine, Oil & Gas cables. 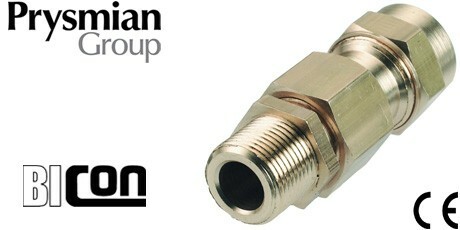 Video : Prysmian Cables - Oil & Gas Industry Cables, Low & High Voltage (Power, Control & Instrumentation).